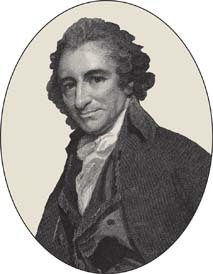 Thomas Paine (1737-1809), political activist and ‘father of the American revolution’, married his second wife, Elizabeth Ollive, here in 1771. At the time he lived across the High Street in Bull House, whilst working as an Excise Officer. He went on to write ‘The Rights of Man’ and ‘The Age of Reason’.